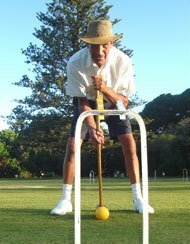 We play a form of Golf croquet which we have designed to make it as friendly and social as possible. This only takes 2 hours with 3 courts in use. Each day we play for the crown, the person with the most wins out of 3 games has the privilege of wearing this whilst we have sun-downers! Our club is made up of retired people, quite a number are summer visitors who have homes here in Wilderness. The number of players ranges from 6-18. We are open to anyone holidaying here in Wilderness. A green fee is charged at the beginning of the afternoon and we have a club house with bar facilities. 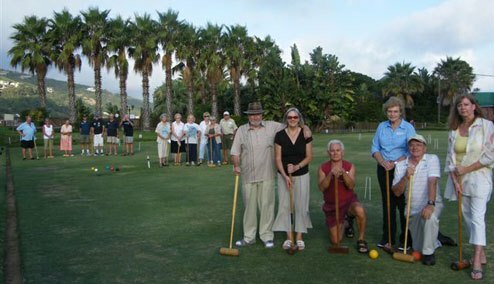 Club days: Protea Hotel Wilderness Bowling Greens Wednesday and Friday afternoons.